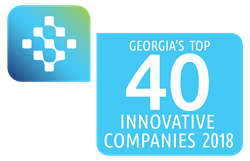 Technology Association of Georgia honors MessageGears as one of the top 40 companies for innovation and contributions to the state’s technology community. Innovation is the lifeblood of MessageGears and is a core part of our culture,” Barnette said. “It’s an honor to be recognized by TAG for our hard work and achievements but, honestly, we’re just doing what we love. I can't think of a better place to build an innovation-centric company than Atlanta. The Technology Association of Georgia (TAG), the state’s leading association dedicated to the promotion and economic advancement of Georgia’s technology industry, today announced MessageGears as one of its Top 40 Innovative Technology Companies in Georgia. TAG’S Top 40 Awards recognize Georgia-based technology companies for their innovation, financial impact, and their efforts at spreading awareness of Georgia’s technology initiatives throughout the U.S. and globally. MessageGears was honored for its unique approach to providing enterprise companies with unprecedented access to their customer data for email marketing, something that isn’t possible with traditional software-as-a-service email service providers. MessageGears was also named a TAG Top 40 Innovative Technology Company in 2014. This year’s Top 40 were selected from among more than 100 applications submitted by companies from across Georgia. Companies selected for the Top 40 will be showcased in an exhibition at The Summit 2018 March 20-21 at the Cobb Galleria Centre. MessageGears CEO Roger Barnette said the honor recognizes the company’s drive to push email marketing technology forward, and help their clients succeed. MessageGears is the only email service provider that enables the world’s top brands to send dynamic, high-volume marketing messages with speed and precision by providing a platform that overcomes the inherent limitations of marketing cloud email systems. MessageGears works almost exclusively with large business-to-consumer (B2C) companies, including Expedia, Orbitz Worldwide, Chick-fil-A, AmTrust, and Ebates. Founded in 2010, MessageGears is based in Atlanta, Georgia. For more information, please visit http://www.messagegears.com.